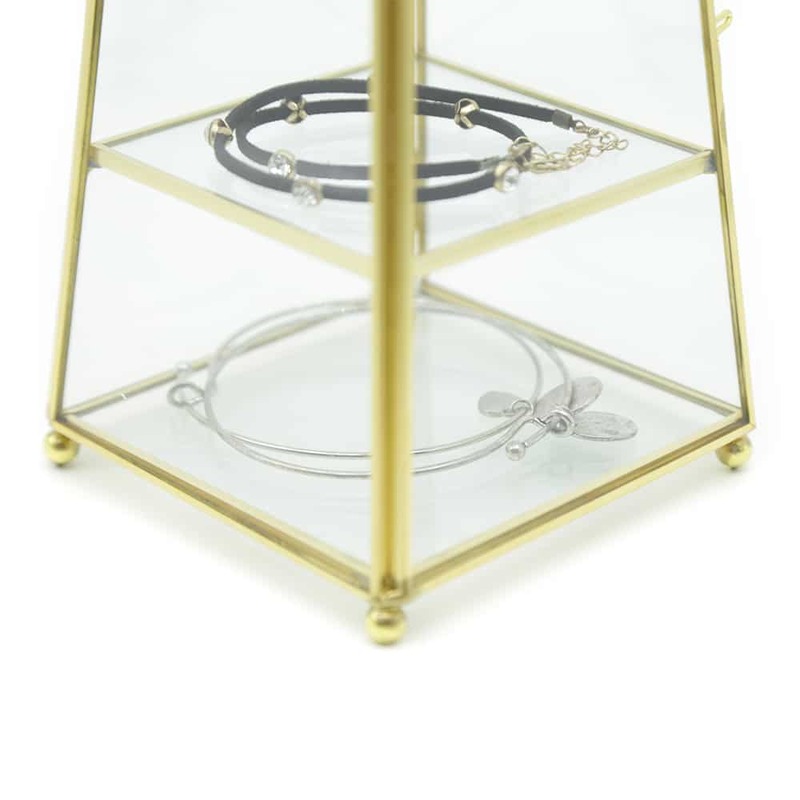 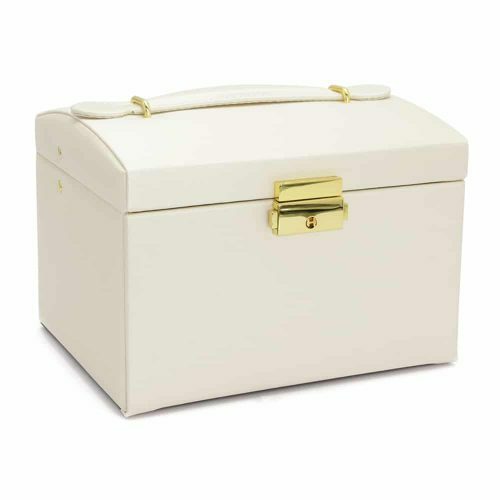 This Polished Golden Three Level Jewellery Cabinet is a classy and modern way to store your jewellery. 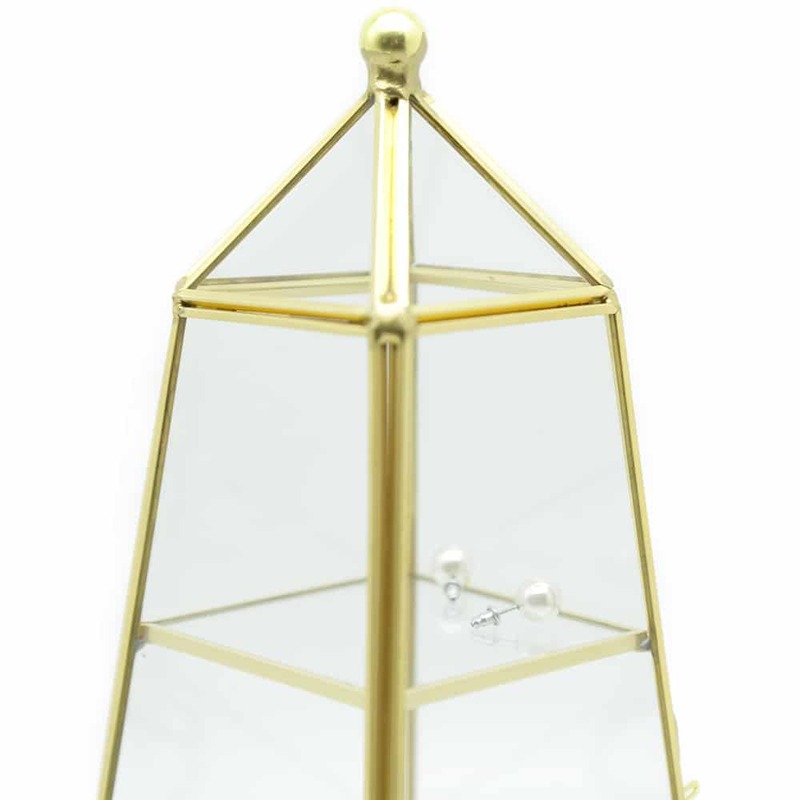 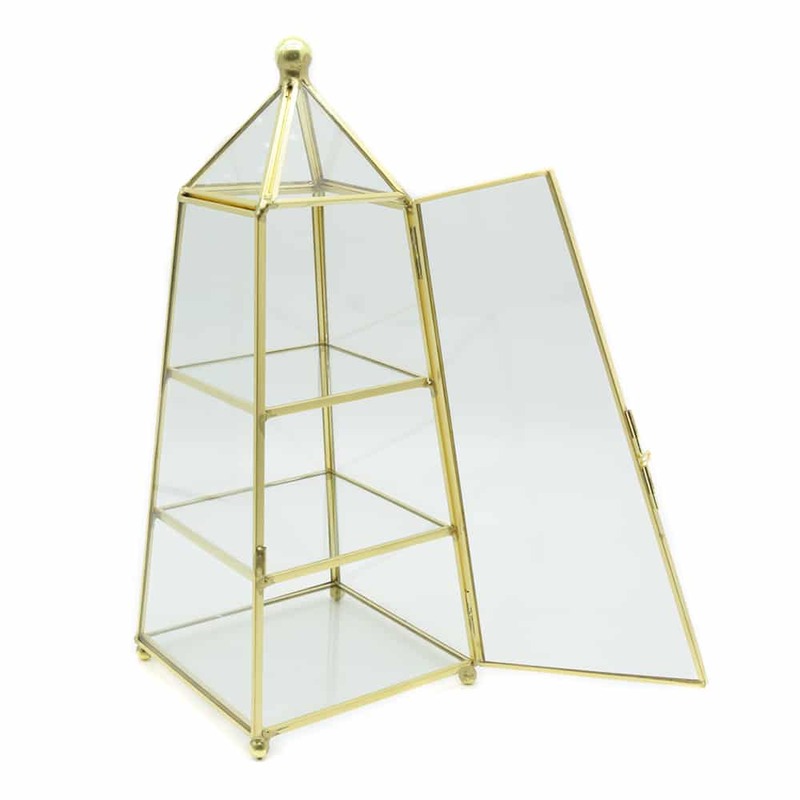 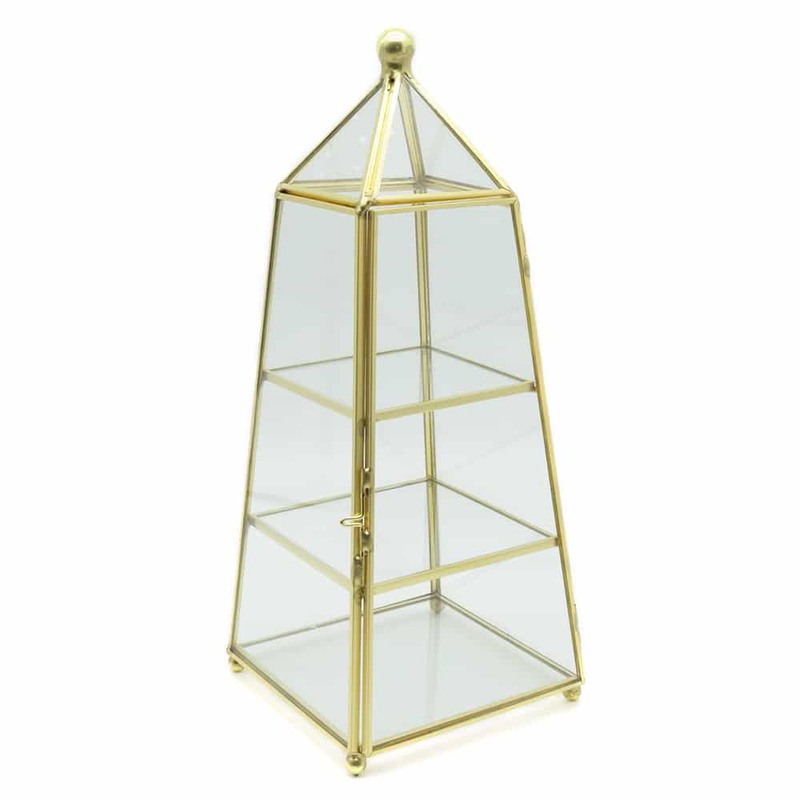 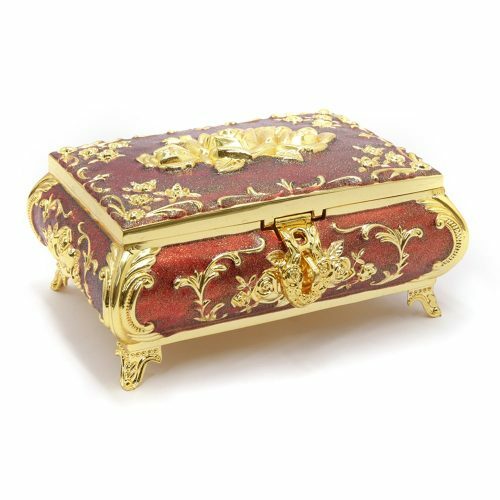 It is made with strong glass and held together with polished golden brass materials. 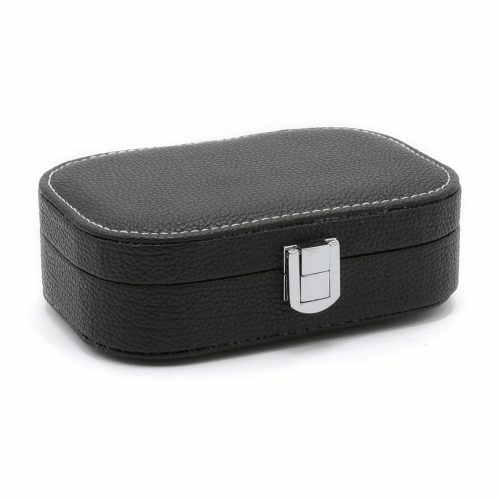 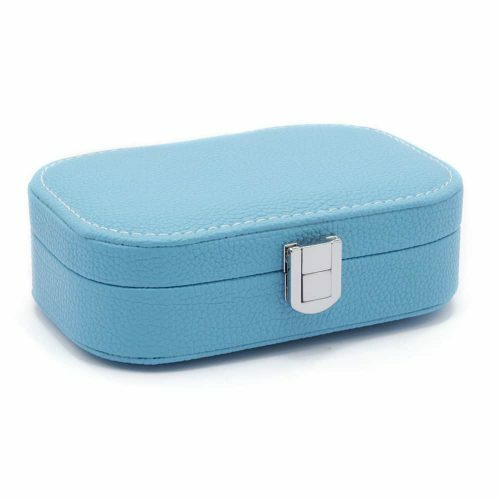 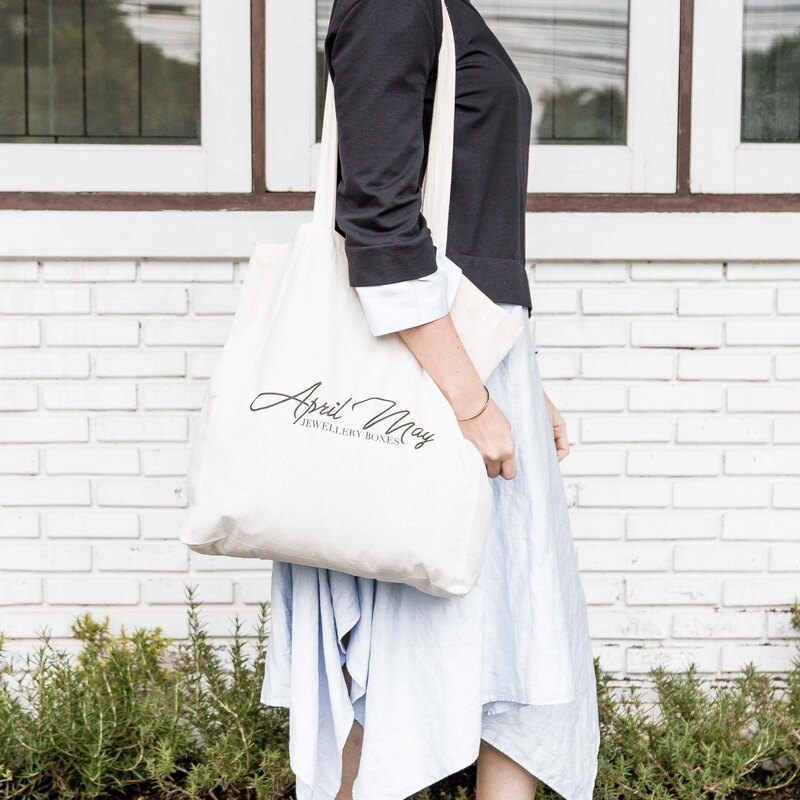 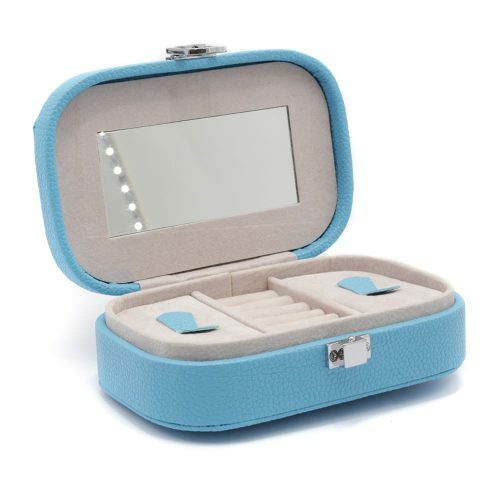 It contains three levels giving you the option of storing your smaller and bigger items separately while also keeping them tangle free. 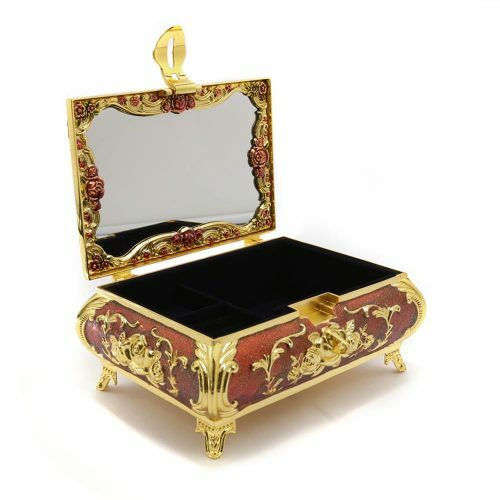 It has a large glass door and latch to keep your valuables protected and secure. 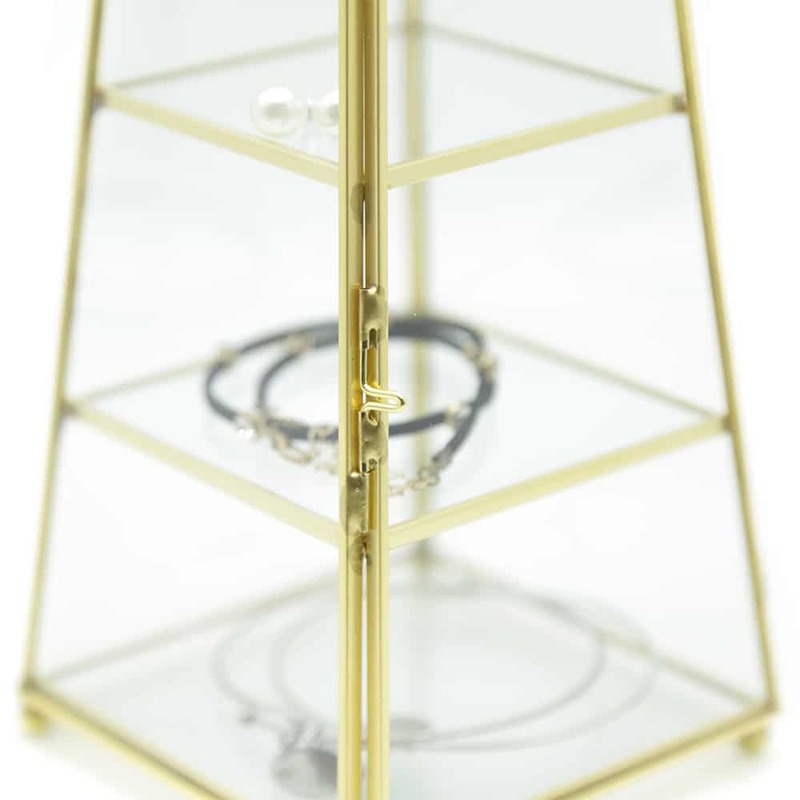 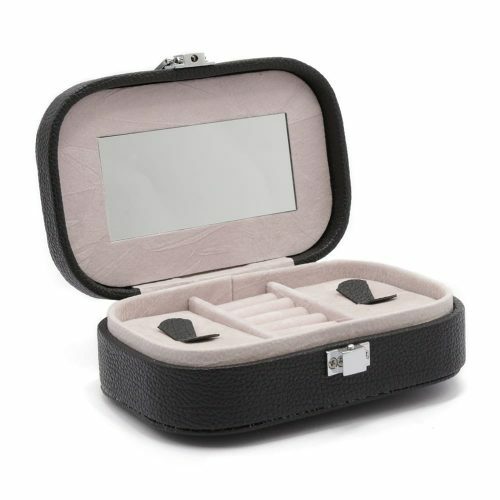 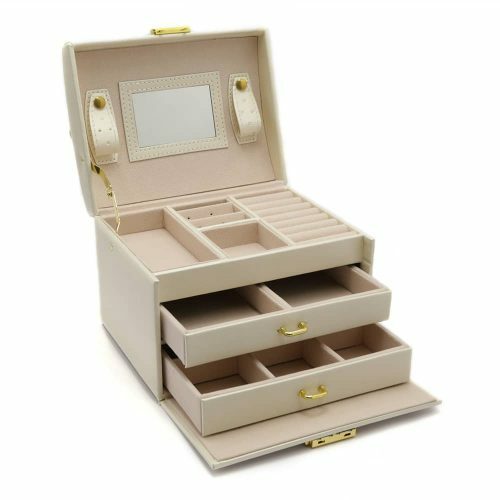 This elegant jewellery cabinet is perfect for organising and showing off your beautiful jewellery with style.